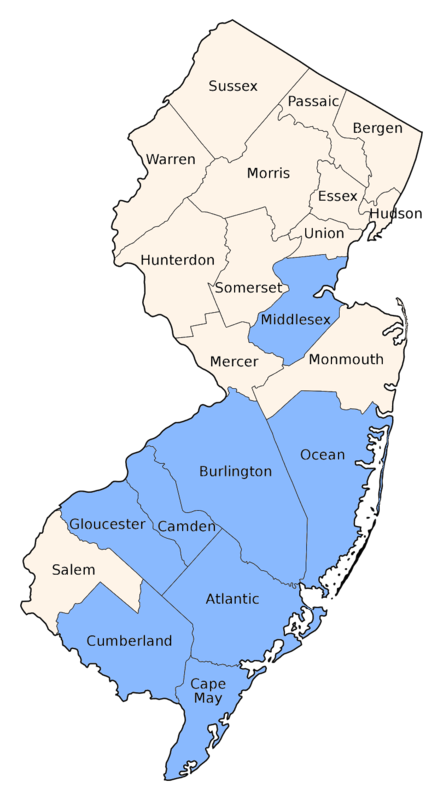 Recorded primarily from the Pine Barrens. 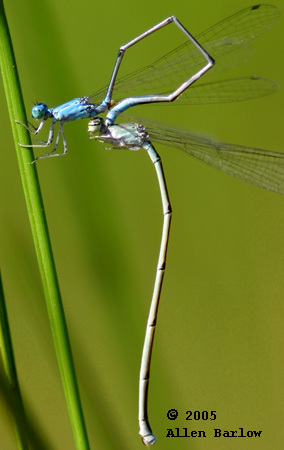 Inhabits sandy ponds and seeps. 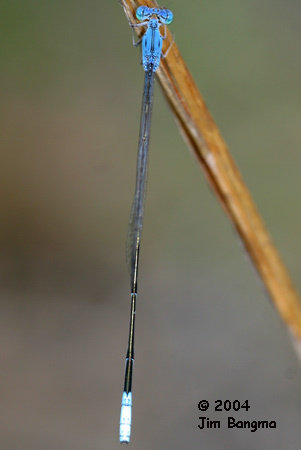 A long, slender bluet;the mostly black abdomen has a rather long blue tip. 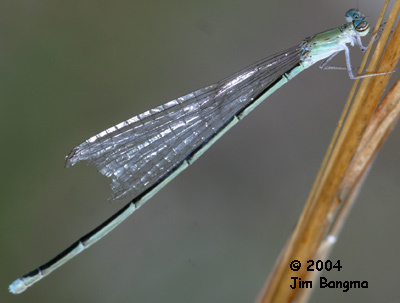 The black thoracic stripes are reduced or absent. Postocular spots are large and rounded-triangular but blend in with the blue head and eyes. 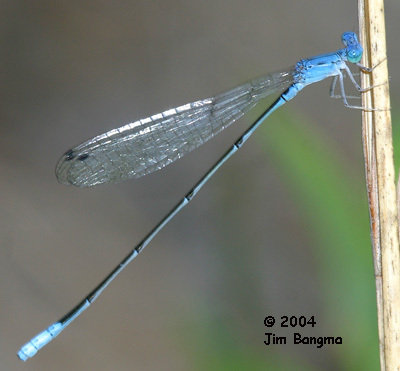 Compare to the smaller Slender Bluet which is usually found on ponds and lakes as well as the riverine Stream Bluet and Turquoise Bluet.